Decrease the turn around time on vital documents with NowYouSign. Simply send a link to the document you need completed and the recipient will be able to fill it out and sign on their internet capable device. NowYouSign will send the document back as soon as the recipient clicks “Done”. Do you want to get your critical documents signed and returned faster? NowYouSign makes the signing process go faster with an easy to use interface that also improves customer service and satisfaction. Does your customer need to download an app in order to use NowYouSign? NowYouSign is a cloud based service. There is no software that your customer needs to download. 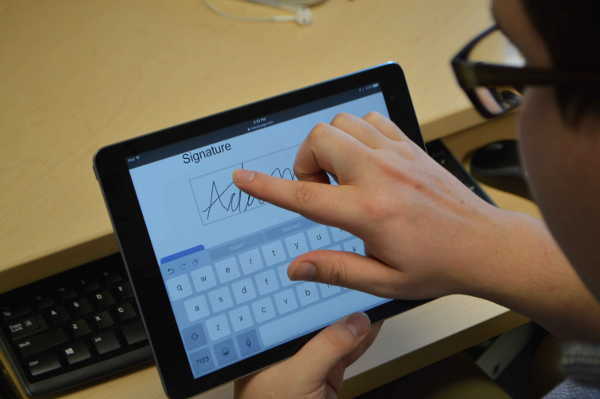 I have been using NowYouSign to create documents and obtain signatures for several months now. I send a document out for a signature and it comes back in minutes! My customers are happy. They don’t have to print, sign, scan, attach and email. They sign right on their device and click submit. I instantly get an email that it’s done and archived! Just that fast! Now You Sign sends your signed document back to your system immediately after signing, as well as sending the signed document to your email as a .pdf. giving you peace of mind that important documents won’t be lost, damaged, or destroyed. 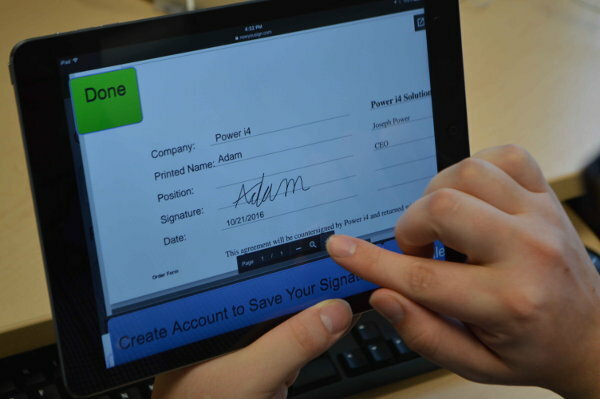 Now You Sign is compatible with any device that can reach the internet, allowing you to get signatures anywhere you are! No need to wait for paper and pens!